Buy, Rent or Skip Unknown? The other day I had a conversation with my Mom, and based on her recommendation, she told me to check out Unknown. Other than her really liking the movie, I avoided any kind of spoilers. I didn't even know what genre the movie would be in. No idea if it was a Horror, Action or Thriller until I popped the movie in the DVD Player. As far as thrillers go, this one was pretty good and kept me entertained for pretty much the entire movie. If there is one criticism I have is that it went from a mystery thriller to that of what is essentially another Jason Bourne knock-off. I don't think Unknown is bad because it took a page or two from that series. I just think for me as a moviegoer, I don't want to see any film going to the same well over and over, which is something I'm seeing a lot of lately from many different films. 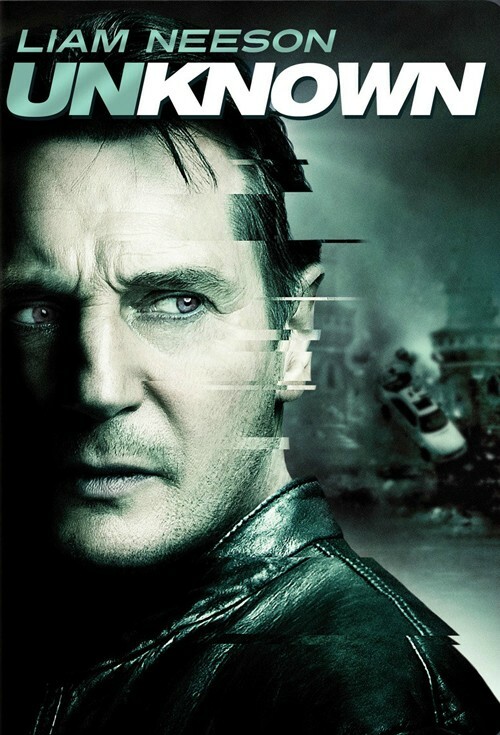 Liam Neeson is good in this one, even if it does remind me a lot of Taken in some regards. January Jones was a nice surprise. I didn't know she was going to be in this one at all. Only downside is that she doesn't have a lot of screen-time in this one at all. Same goes for Aidan Quinn. Until my Mom told me about this movie, I didn't even know it existed. Even though it hits a lot of familiar territories, it's still definitely worth a Rent. Saw this movie and totally forgot about it... though I do remember not liking it. I actually went into a restaurant that was filled with hundreds of big TVs and this movie was playing, and I had to search through the back of my head to realize "oh right, this is a movie that exists." I'm honestly surprised when anyone brings this movie up, it's like the Silence of movies: the minute you look away, you instantly forget you ever saw it. Yea, I'm thinking I saw it, but currently don't remember anything about it.